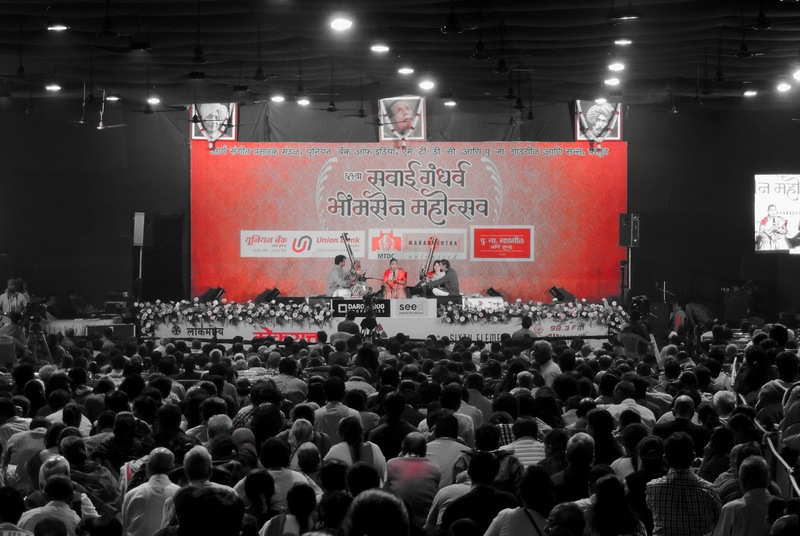 The Sawai Gandharva Bhimsen Sangeet Mahotsav, previously known as the Sawai Gandharva Sangeet Mahotsavand popularly called Sawai, is an annual Indian Classical music festival held in Pune, in the western Indian state of Maharashtra. Organized by Arya Sangeet Prasarak Mandal the festival is one of the most prominent and popular Indian Classical music events in the world. The event was started in 1953 by the great Hindustani Classical vocalist Pandit Bhimsen Joshi as a music conference to commemorate the achievements of his guru, the legendary Indian Classical vocalist, Pandit Sawai Gandharva. The festival not only attracts the leading proponents of Indian Classical music from across gharanas (schools) like Gwalior, Agra, Kirana, Jaipur Atrauli and Rampur-Sahaswan but also provides a platform for upcoming music talent. Visit the exciting city of Pune this December and experience the best of Indian Classical music at the Sawai Gandharva Bhimsen Sangeet Mahotsav! Hey, tickets for Sawai Gandharva Bhimsen Mahotsav are not available right now. If you would like to be the first to know when they will be available then provide us with your email id and we will keep you posted. In the meantime, you can check out the travel and accommodation options for the event. Call on +91-20-25535570 for more ticketing information about the Sawai Gandharva Bhimsen Sangeet Mahotsav. Tickets are now sold online, for a limited period, on the official event website. Season pass is the best way to get a chair ticket. Tickets for chairs get over very soon, generally within few hours. Vegetarian food and beverages are available at the venue. Visitors have been allowed to bring their own food to the venue in previous editions of the festival. Session on Saturday is from 4.00 pm to 12.00 midnight. Other days the sessions are from 4.00 pm to 10.00 pm. If you have a question about Sawai Gandharva Bhimsen Mahotsav, then please reach out to us by filling up this form.